This article will describe installing XRDP. Revert pam config to xrdp-0.6. Change package name in Fedora 25 to ones in OpenSUSE 13. 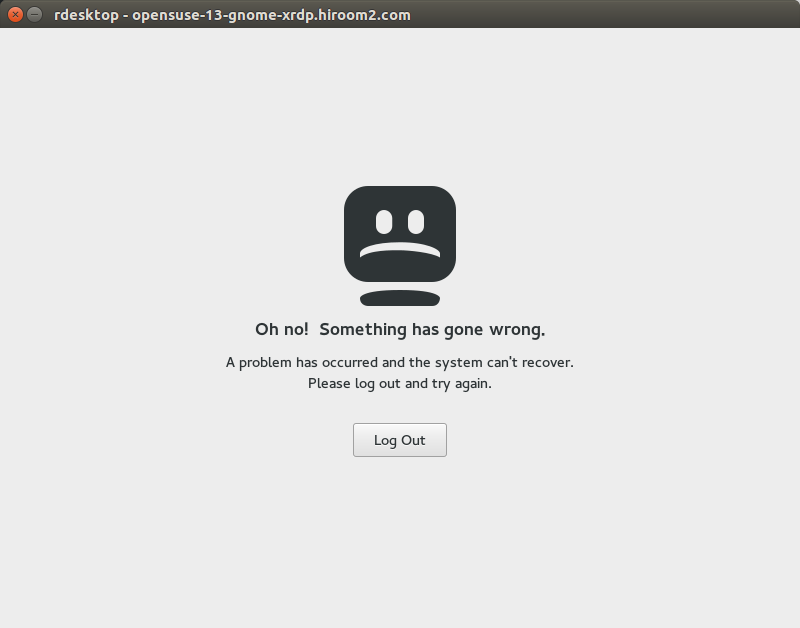 Because cannot connect to XRDP in OpenSUSE 13 without /etc/X11/xim.d/ibus, add ibus as Require to XRDP. 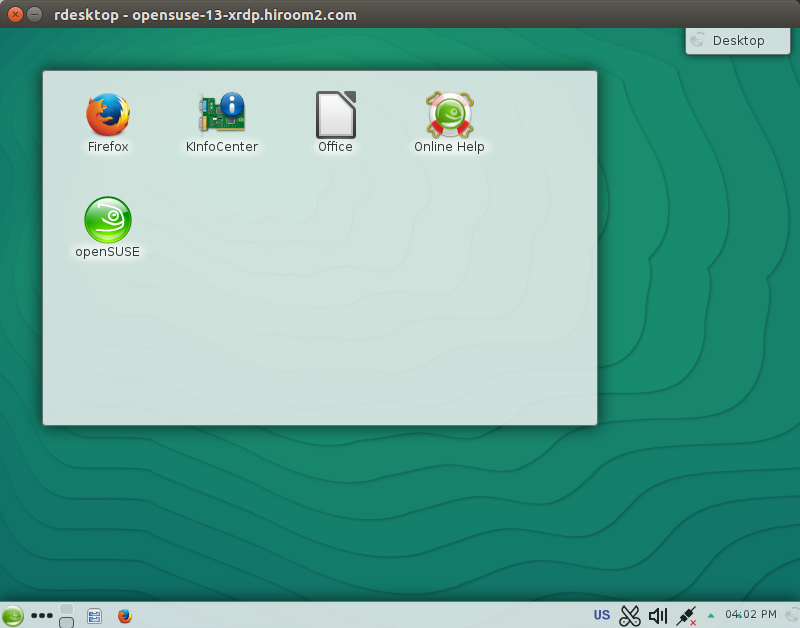 Now you can connect to OpenSUSE 13 via RDP. When DISPLAYMANAGER is gdm, below error is occured. /etc/gdm might not support XRDP. Changing DISPLAYMANAGER from gdm to xdm enable local login and XRDP connection. 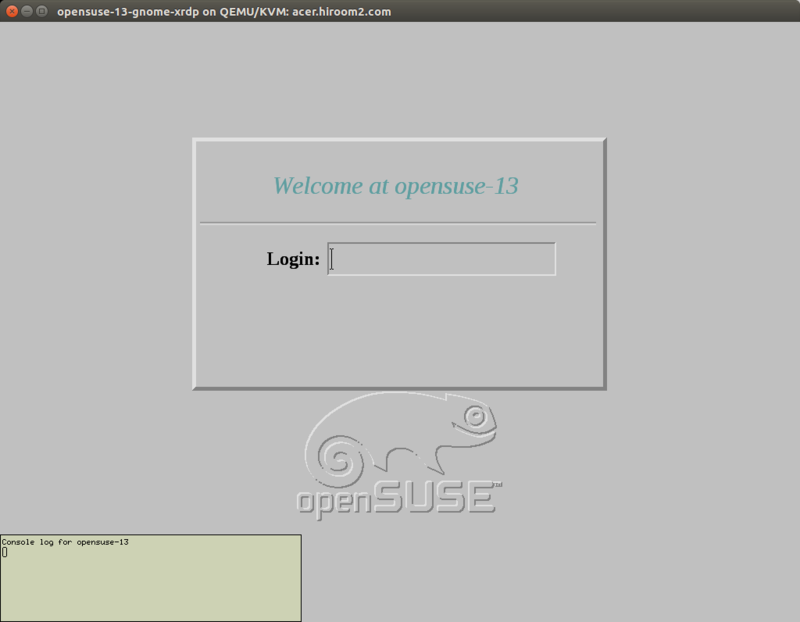 After changing DISPLAYMANAGER as below, restart OpenSUSE 13. @@ -11,7 +11,7 @@ DISPLAYMANAGER_XSERVER="Xorg"
# Here you can set the default Display manager (kdm/xdm/gdm/wdm/entrance/console). Local login is as below. You can connect to machine via XRDP in this state. But you cannot do local login while XRDP connection is established. The following script will install XRDP.